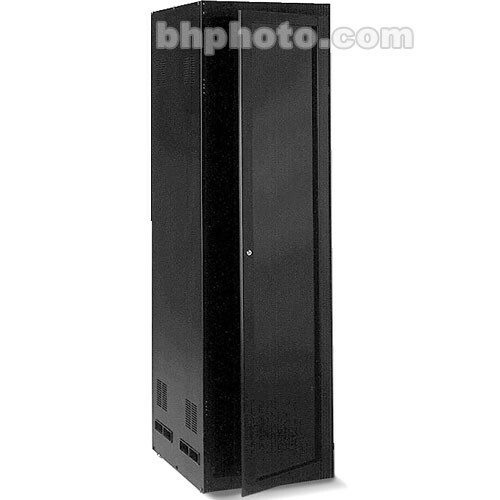 Mount the Locking Plexiglass Door for 78-3/4" rack on the front or rear of your Winsted 78-3/4" cabinet. With lift-off hinges, you can mount this vented door to either the left or right side. Keep your equipment safe and secure with the Solid Locking Door featuring a black textured finish. This locking door has a textured black finish that is durable and easy to maintain. You can see your electronics without having to unlock and open the door with the plexiglass construction. The vents on the door will keep your equipment cool while the lock keeps it secure.